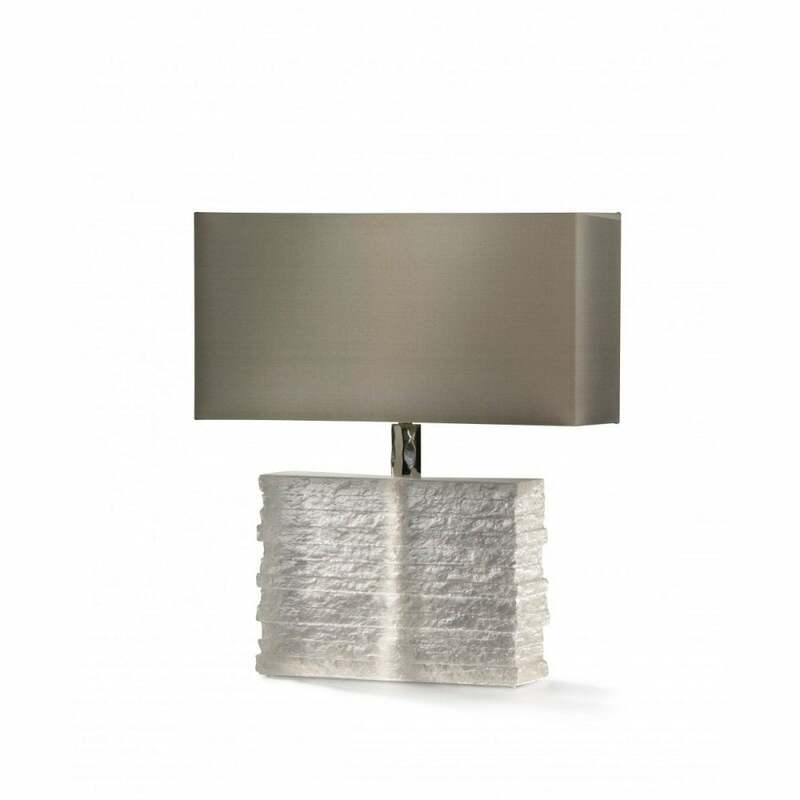 The Crystal Strata lamp is a magnificent block of cast glass. The light that plays across the textured surface is quite gorgeous and the beautifully sculpted neck can be finished in either brass or nickel plate. The Quick Ship service has this with a Putty shade, but the base looks equally stunning in any one of Porta's gorgeous silks and linens, and really suits a contrast lining.